Hilary attended our 12 Week Certificate Course in 2010 and now runs a business with her partner making wonderful homemade butter for Restaurants in Edinburgh. "Hilary and Nick have been working in food in some respect for years. Hilary trained at Ballymaloe and Nick has been cooking since he was a child. In 2016 we started Stockbridge Social Club together. A pop-up restaurant in our house in Edinburgh and spent 2 years running dinners for hundreds of guests. Towards the end of 2017 we decided that we needed to find a business that mixed our passion for food and flavour with the ability to make a living! As such The Edinburgh Butter Co was born. 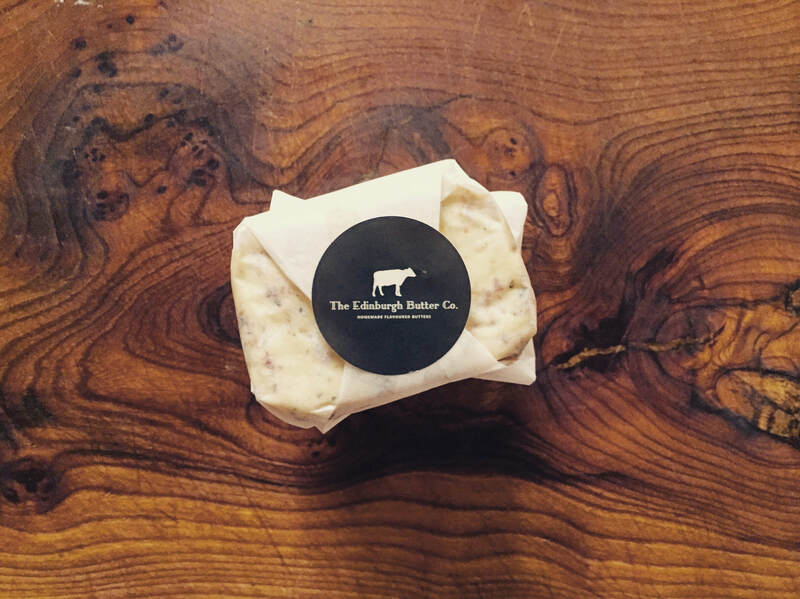 Focusing on an ethos of locally sourced produce we aim to make some of the finest, flavour rich butters you have ever tasted. Time and effort is spent on the production process to ensure we maintain the quality we want to deliver to our customers." Churned in the heart of Stockbridge, Edinburgh, our butter is made with care to ensure we make the best. We use single source cream to slow churn our butters in small batches giving them their distinct colour and flavour. We source the best local cream straight from the dairy, focusing on quality and flavour above all else. Here at The Edinburgh Butter Co we don’t believe in doing things fast, we take our time to blend our butters by hand. Whether you’re slathering our Cultured Butter onto toast, using our Green Butter to enhance your scone mix or spicing up your Friday night steak with our Red Butter you will be sure to find flavour in every last bit. Currently we have four available flavours, a straight churn butter, a cultured churn butter, a green herb butter and a red spiced butter.